Reinforced and fully lockable doors, with a central 3 point locking system, for safety and security. The 2 scuff-resistant steel shelves have a strong 60 kg capacity. Welded steel housing, designed for frequent-use in industrial environments. Shelving is adjustable on a 25mm pitch. 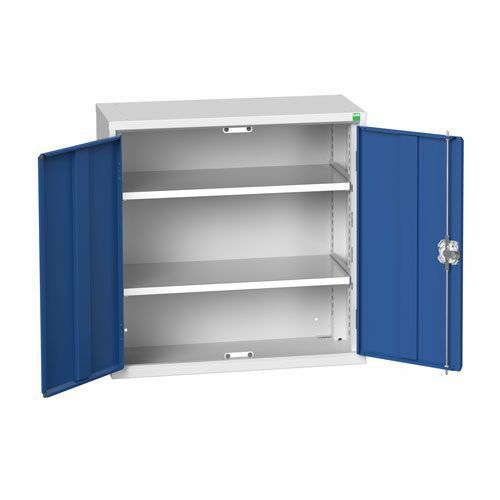 Hardy scuff-resistant metal storage cupboard with 2 shelves WxD 525x350mm.